Iowa expungement serves as a means of sealing civil or criminal court records so they cannot be seen by potential employers, creditors or private citizens. The state of Iowa does not typically remove case listings from the official ICIS System docket, except in the case of a deferred judgement completion. However, you can petition to have the details of your case purged from law enforcement, state, local and national databases. 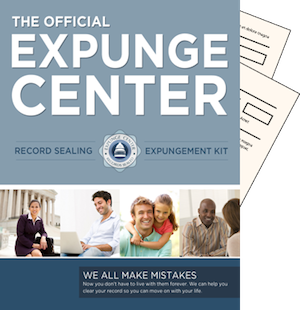 Our expungement kits contain everything you need to navigate the Iowa court system; file the proper forms with the correct state agencies using the helpful kits provided at expungecenter.com. Take control of your future, and expunge records in Iowa that could tarnish your reputation. Qualifying for expungment is as easy as taking our free 3 minute eligibility test. Each state has its own set of laws dealing with the removal or sealing of court documents. Iowa state, in particular, has very clear guidelines that dictate whether or not case records may be sealed from public view. If you have already completed probation on a deferred judgement, you have the right to request that the case be sealed. Additionally, Iowa passed a statewide law on July 1, 2010, which states that court files on public drunkenness or possession of alcohol by a minor may be successfully removed by filing a form with the court two years after your date of conviction. You must have no criminal convictions for the full two years’ waiting period, other than traffic tickets, in order to qualify. To find out if you may be eligible for Iowa expungement, visit our website at expungecenter.com. We will make sure you have all the right information, and the specific forms required by Iowa state to have your court files sealed. In addition to having certain alcohol related charges removed from numerous databases, you may be able to seal your juvenile records by decree of Iowa Code section 232.150. Petty crimes committed in your early years do not need to hang over your head for the rest of your life. Simply skim through the information in our kits to learn whether your particular case can be sealed, and then fill out and file the forms we provide to successfully expunge records in Iowa. Sealing civil or criminal cases in your past can have a positive impact on your future. It helps ensure that future employers, creditors and friends do not have access to information that does not accurately reflect your present character. Everybody makes mistakes; sealed court cases enable you to take advantage of the second chance laws enacted by Iowa state. We have researched Iowa laws, and can therefore offer you accurate information on how to go about clearing your criminal history. You may have certain court files destroyed, or hidden forever, by utilizing the kits provided at expungecenter.com today.